Choosing the flowers for your wedding day is no small task. Here are some hints about Choosing wedding Flowers and Greenery Based on Symbolism. Planning a wedding is one of the most difficult, yet rewarding things a lady has to do in her lifetime. Your wedding day is one of the most anticipated days in your life. Think about it, since you were a young girl, you have been dreaming of the perfect wedding. One filled with beautiful flowers, a flowing wedding gown, a handsome groom. Take place in a beautiful venue filled with your friends and family members celebrating this joyous occasion with you. Choosing the flowers for your wedding day is no small task. You need flowers for your bouquet, your bridesmaids bouquets, corsages for important family members, such as the mother of the bride and the mother of the groom. You also need boutonnieres for the men in the wedding party, flowers for the wedding venue and flowers for the reception. The following information will help you choose flowers and greenery based on symbolism. 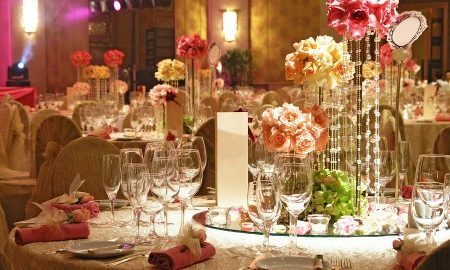 There are several things to consider when choosing flowers for your wedding, including color, symbolism and your budget. 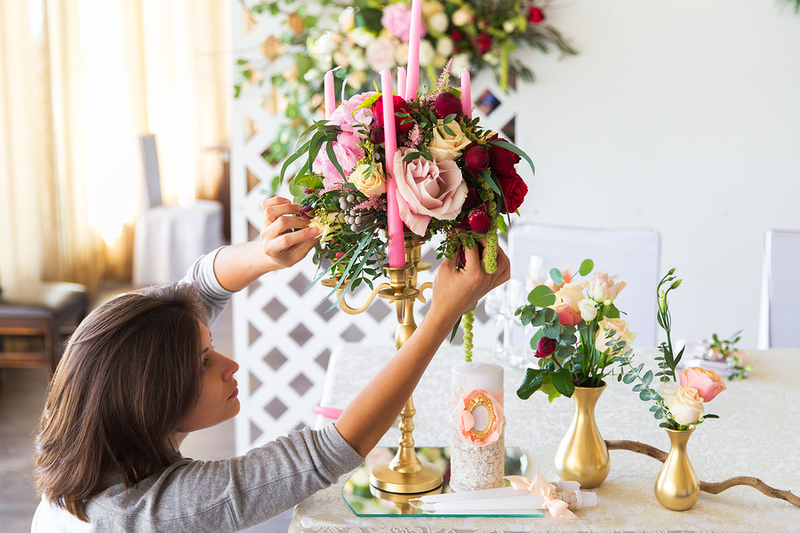 Your florist can help you determine a budget, show you different floral combinations and design unique floral arrangements that will set your wedding apart from other weddings. Baby’s Breath symbolizes purity of heart. 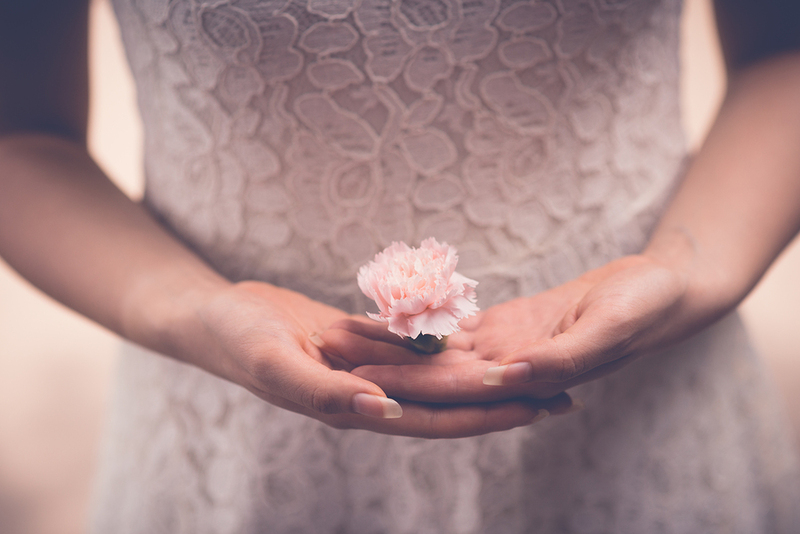 Include this flower in your arrangements to remind you of the innocence and gentleness you experienced during your courtship. Calla Lilies often are associated with faith and purity. This magnificent flower represents refinement and beauty. It is the perfect choice for brides wishing to carry an elegant, yet simple bouquet. Carnations are symbolic of enduring love. This flower features ruffling petals tightly woven together signifying the unity and love between you and your groom. A Freesia is a delicate flower that symbolizes trust. 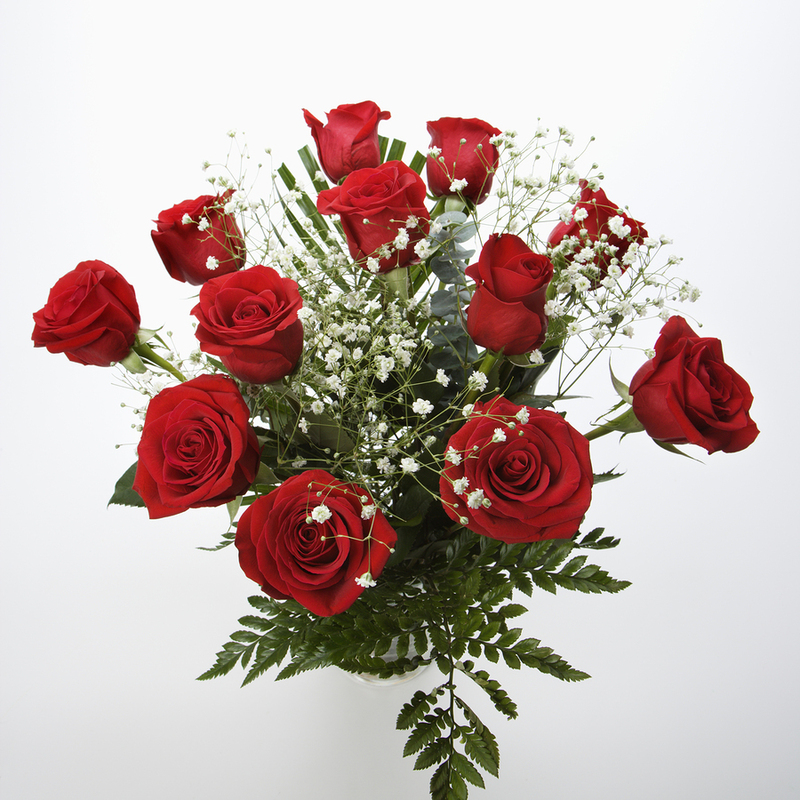 Using this flower in arrangements symbolizes that you trust in the love felt between you and your partner. Hydrangeas represent destiny. By incorporating hydrangeas into your wedding flowers, you are declaring that your wedding is the destiny you have always dreamed of. Mums, also known as Chrysanthemums, symbolize the everlasting covenant you will be declaring in your wedding vows. This flower features a starburst pattern and comes in a variety of colors, making it the perfect flower to incorporate into your floral arrangements. Peonies are delicate flowers that represent good fortune and blessing. This flower is one of the most romantic flowers available. These delightfully scented flowers were extremely popular during the Victorian Era. Roses symbolize everlasting love. Incorporating roses into your wedding speaks to the heart and spirit of everyone involved in your wedding. It says that this marriage is a unity of everlasting commitment and love. Bells of Ireland are often used in weddings to symbolize luck. This greenery features a long stem of bell shaped green clusters. Dusty Miller represents joy. Each stem features lacy, velvety soft silver sage foliage and works perfectly with delicate flowers, such as peonies or roses. There are numerous varieties of ferns, each with its own texture and color. Some ferns feature delicate, lacy fronds, while others feature spiky fronds. Most ferns are bright green and embody grace, confidence and uniqueness of character. Ivy is the perfect choice for greenery in your wedding. The color of ivy ranges from a deep green to a pale green with a white outline. 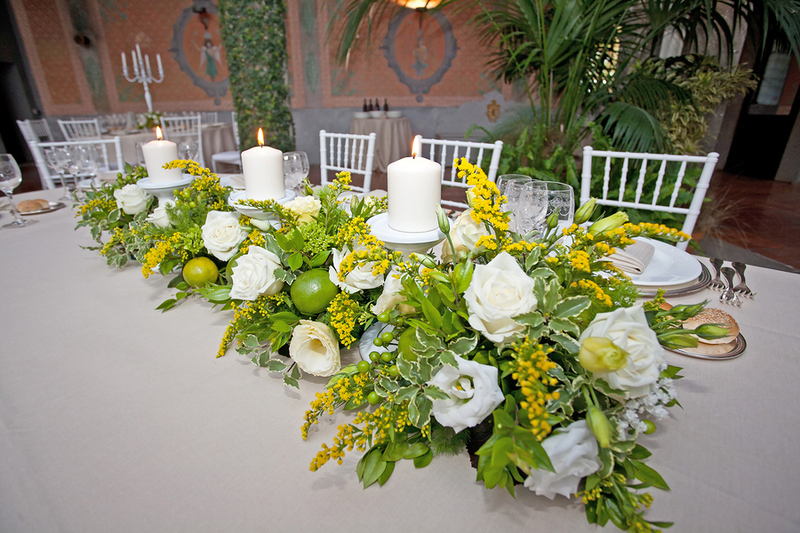 This greenery symbolizes fidelity, love and affection. Myrtle symbolizes love and marriage. This greenery has been used in the bouquets of royalty since Queen Victoria. It features long green stems with small, intricate leaves. Choosing flowers and greenery for your floral arrangements is not limited to the choices discussed above. Many of today?s brides choose flowers and greenery based on color, shape, scent or symbolism. When it comes to choosing flowers and greenery for your wedding, the only thing that limits you is your imagination. Jonathan is a gardening and photography enthusiast. His site, CabbageRoses.net, contains information about the history and meaning of numerous rose varieties, as well as gardening and growing tips and tricks.